Vintage style COLNAGO Handlebar end plugs – black. A pair of good quality chromed plastic handlebar plugs, with resin encapsulated logo. 25mm outside diameter, plug diameter 20mm uncompressed. Standard fit for most drop handlebars. 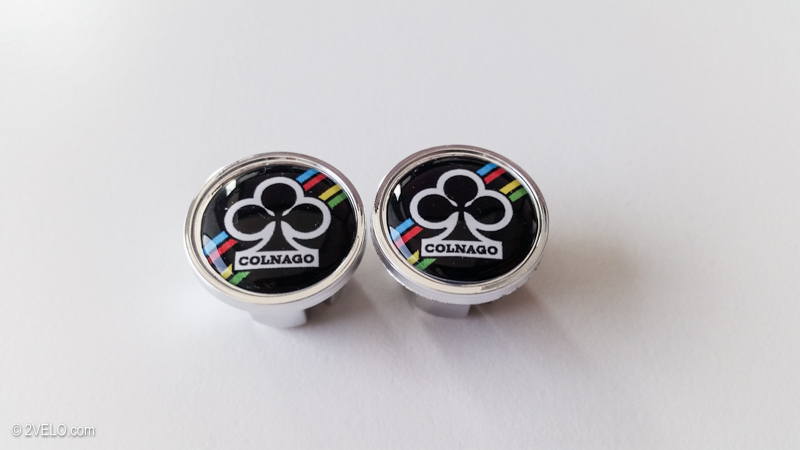 Perfect finishing touch for your COLNAGO bicycle.